We are happy to welcome our new associate chiropractor Dr. Shelby to our team! 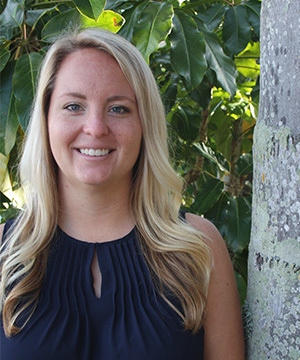 Originally from southwest Minnesota, Dr. Shelby moved to sunny Florida to earn her doctorate at Palmer College of Chiropractic. Here she learned all about how to correct subluxations to promote optimal function of the body. Her schooling included training in techniques such as Diversified, Gonstead, Thompson, Webster, Activator, Flexion Distraction, Instrument Assisted Soft Tissue Technique, and Sacro-Occipital Technique. Dr. Shelby grew up receiving chiropractic care. This allowed her to not only function at her best but to also get off her allergy medication at a young age! Chiropractic is an excellent field of health care that Dr. Shelby is proud to be a part of. She loves to help people in any way she can whether it’s a specific chiropractic adjustment or being able to bring a smile to their face. While she’s not at the office you can find Dr. Shelby spending time outside soaking in the sun on Florida’s beautiful white sandy beaches. Dr. Shelby is excited to start serving the Sarasota community with Dr. Dees and her wonderful team!